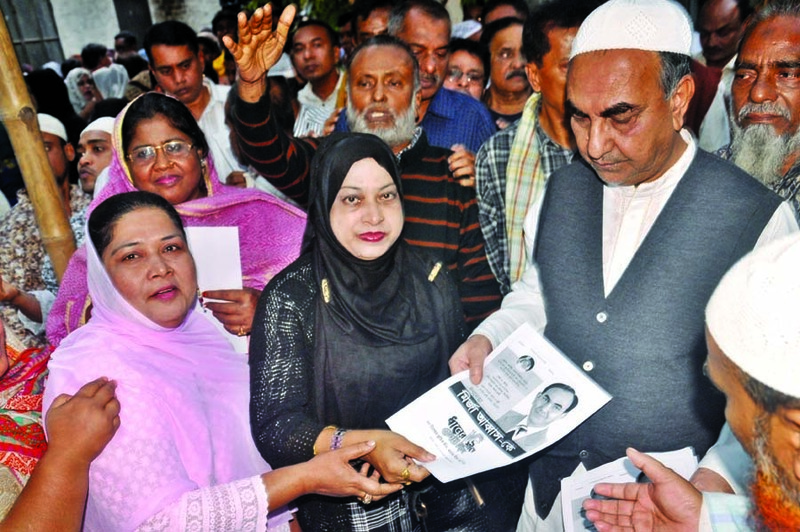 The BNP will expose in its election campaign Awami League government's misrules, oppression and plundering of public money from different banks and stock markets. The campaign began on Monday for the ensuing 11th Parliament election scheduled for December 30. The BNP candidates and leaders have started election campaignis across the country asking people to vote for the party's symbol 'Sheaf of Paddy'. The party is referring to its Chairperson Begum Khaleda Zia's convictions in two graft cases as the part of government's conspiracy against the BNP. The party leaders asked the voters to vote for Sheaf of Paddy to release Khaleda Zia from jail. The party leaders also referred to the one-sided election of January 5 in 2014 saying the democracy must be protected from the hands of AL. They are trying to convince the people to vote for the BNP and its alliance candidates to restore democracy, voting and basic rights of the people. The BNP candidates are exposing various incidents of misrules of the government in last 10 years. "In last decades, the AL enjoyed unilateral power to govern the country. As a result, the people of Bangladesh got a chance to know the misrules of the Awami League. Whenever the party gets chance to rule the country, they use to oppress the opposition and general people. We must refer to their misrules to the people," BNP Joint Secretary General Syed Moazzem Hossain Alal told the New Nation. He said, peopleÂ areÂ aware about the AL's oppression, abuse of state power and money plundering. But we have to address people's sufferings if we are voted to power. Sources said, candidates from different parties and independents contesters have started their campaign from Monday. As part thereof, BNP candidates from every constituency have started their advertising their qualities across the country. "We have got huge positive response from the voters in our campaigning," BNP Vice-Chairman Chowdhury Kamal Ibne Yousuf told The New Nation. He said that he started campaign asking vote for Sheaf of Paddy in his constituency in Faridpur-3. He said people of his area are serious for a change. When contacted, BNP Standing Committee Member Dr. Khandaker Mosharraf Hossain told The New Naiton, "We are asking the people to vote for Sheaf of Paddy to end the misrule, oppression and public money plundering." He also said, BNP Chairperson and most popular national leader of the country Begum Khaleda Zia is in jail now for vengeance attitude of the government only. We asked the voters to vote for freeing Khaleda Zia from jail and restore justice in the country again. He said it from his Cumilla-1 and Cumilla-2 constituencies. In both seats he is contesting as his party candidate. Dr. Mosharraf said, his party candidates across the country are similarly referring to the AL's past anti-people activities.